What causes muscle loss after 50? Sarcopenia – Why muscle loss happens with age? Losing muscle as you age is a natural process. It goes by the name of Sarcopenia, which literally means “lack of flesh”. As alarming as it sounds though, it’s easy to treat if caught early. Once a man hits 30, he starts to lose some of the lean mass carried on his body. And while he doesn’t have to worry about an instantly ruined physique, it still lowers muscle tissue by about three to five percent each decade. Experts say most men will experience a 30% reduction by the end of their life . As you can imagine, the older you become the more obvious these reductions are. Once you hit 50 that’s an average of six to ten percent of your physique. 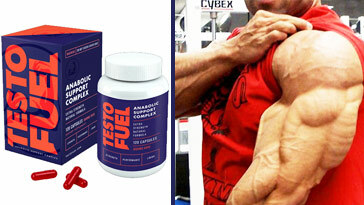 Pair that with lower testosterone levels and men can feel flat, deflated, and frustrated. The good thing is sarcopenia can be halted and even reversed. Facing age-related muscle loss is not an absolute. Instead, it’s a cautionary sign that you need to do more. Scientists are also relating sarcopenia to mortality. Yes, ignoring the signs could guarantee you an early grave . So, let’s take a look at what you can do to fix it. Sarcopenia is a condition that affects around 10% of adults over 50. If unmanaged it can cause a significant decline in quality of life beyond losing your prized figure. Scientists say sarcopenia happens when an imbalance between two muscle cell signals occurs. In a healthy, young man, his signals for muscle cell growth and teardown are pretty much even. The process that occurs during muscle cell growth is known as ‘anabolism’. On the other hand, the teardown process is known as ‘catabolism’. These two processes usually work hand in hand to keep muscle turnover flowing. Muscle gets broken down, then it gets built back up, simple. As he gets older, the same man’s musculature develops a resistance to the anabolic growth signals. This leaves him with a balance leaning toward catabolism, which we now know causes muscle degradation. You could picture this like a bank account with more money leaving it than coming in. Before long the vault is going to be run dry. In short, our subject starts to lose more muscle than he builds. Over time this leads to noticeable muscle loss – sarcopenia. Key point: As men age their physique becomes resistant to the muscle cell signals that trigger growth. Don’t worry. We’ve all done it at some point, even if we don’t want to admit it. Yet, sarcopenia isn’t always recognizable at face value. Sometimes the warning signs can be hidden. Another way to test for sarcopenia after 50 is a grip test. You can buy one of these devices yourself, or if you’d prefer, ask to use a doctor’s. According to researchers a score of less than 30 kg is considered low-strength for men . Yet, the same team also say that a loss of strength isn’t always a direct sign of sarcopenia. Lower levels of lean mass can also be detected by checking skeletal muscle mass index. In this test, body composition is checked to measure the ratio of lean muscle to other tissue. As alarming as muscle loss is there are many things you can do to change it. Surprisingly enough, most ways of halting sarcopenia in its tracks are actually very simple. Avoid unnecessary damage to your body with these easy to follow fixes. One fun and exciting way to look after your lean mass is with exercise. You’ve heard the saying – use it or lose it. This isn’t anecdotal evidence either. 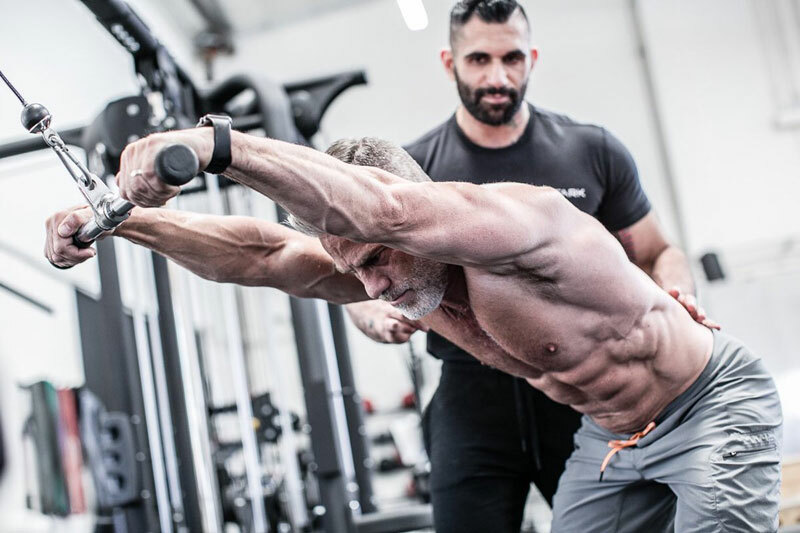 In a study of 1328 men over the age of 50, those who underwent resistance exercise saw significant increases in lean mass compared to those who didn’t train in this way. They also said that resistance training earlier in life provides superior effectiveness too . It’s not just about building strength, however. Backing it up with power is a functional affair that can translate better into everyday life. This is how fast and efficiently you can move by combining your strength with speed. If you want to work on this yourself think about pushing hard when climbing the stairs or standing up. There’s no need to do this every time, just enough so you can feel it. It also pays to keep up to date with your aerobic activities too. Even though resistance training is king to backing up crafted muscle, combining it with cardio fitness is still beneficial. This means walking, jogging, cycling, and running all have a role. So long as you’re elevating your heartrate through exercise, it really does pay to go the extra mile . Don’t stress if you can’t hit the gym six days a week though. The science says that between two to four exercise sessions within seven days should be productive enough . Just keep in mind that there’s little evidence to suggest that cardio training alone has much benefit on sarcopenia. Do you need a workout to help you reclaim or protect your physique? 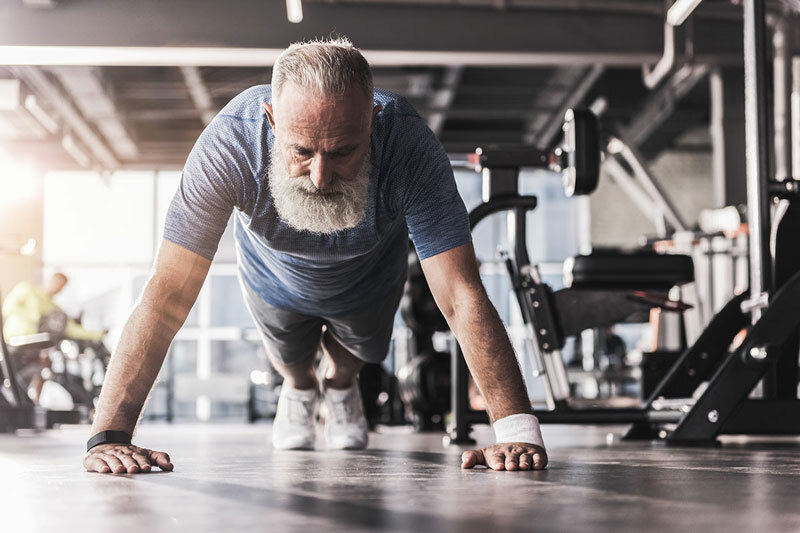 Our team have put together this low-impact strength routine specifically for men over 50. These workouts encompass all the major muscle groups in your body. This is to sure up your entire strength game in two separate, simple sessions. Perform A on one day and then return to the gym another day for B. If you’re relatively fit, feel free to go for four to six sessions per week. Warm up: 5-10 mins treadmill fast walk followed by two lots of; 15 arm circles each side, 10 hip hinges, 10 leg swings each side, 10 air squats. Cool down: 5-10 mins slow treadmill walk followed by static stretching. Warm up: Warm up: 5-10 mins stationary cycle followed by two lots of; 15 arm circles each side, 10 hip hinges, 10 leg swings each side, 10 air squats. Cool down: 5-10 mins slow stationary cycle followed by static stretching. How much weight should you use? Enough to keep the sets challenging. Try to think about hitting a number where you could squeeze out one or two more good reps. Also, as you get stronger, increase the weight, reps, or set to employ progressive overload. This will keep your muscles growing. Another simple way to stop muscle loss after 50 is with a clean and healthy diet . 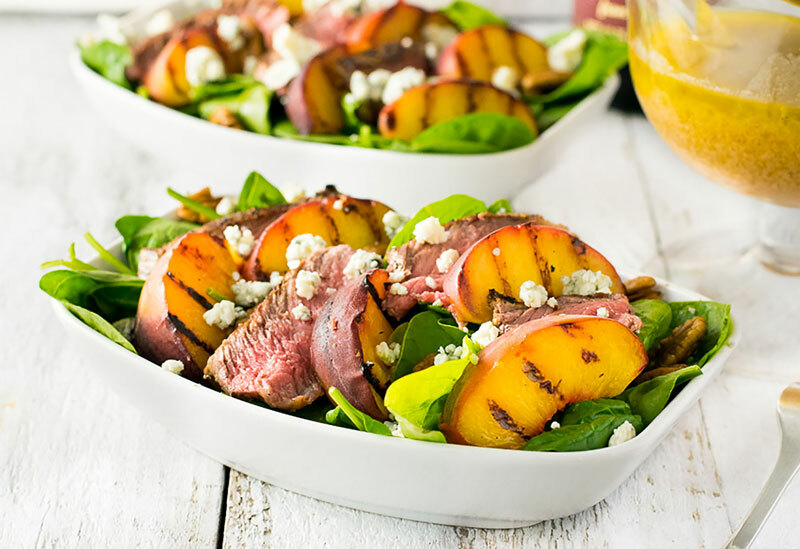 This doesn’t need to be super intricate, just well-balanced and rich in essential macronutrients. Eating this way will also bolster the benefits of your exercise regime too. Carbohydrates and fats will fill you with energy, while protein provides the building blocks for muscle. Not only that, but by eating all your key vitamins and minerals, you’ll be able to unlock many important processes in the body. Let’s now look at some of the key ingredients for solving sarcopenia. These are four effective nutrients published in a 2011 research paper on the subject. If you thought protein was just for bodybuilders in their twenties, guess again. It’s an essential macronutrient that all mammals need to survive. This is because it’s made up of tiny amino acids, which are the building blocks behind your body. All the cells inside are made from protein, hence why we need it so much. Remember the process of anabolism and teardown? Well, when the body receives protein, it triggers protein synthesis stimulating growth signals. The protein you’ve just consumed then play a part in rebuilding and maintaining your lean muscle mass. If you don’t eat enough of this essential macro, your muscles begin to deteriorate. As you can understand this then speeds up sarcopenia. The amount of protein we need changes as we age too. In fact, as men get older, they generally must consume more than their younger counterparts to experience similar effects. This is due to their muscles becoming more resistant to growth signals . Out of all the amino acids inside protein, leucine is considered to be of the highest importance. While each amino plays a part in controlling muscle growth, it’s leucine that experts credit the most . You can find this essential amino acid in the likes of meat, fish, dairy, and soy. Key point: Current research suggests men over 50 should eat 25 – 30 g of protein in every meal . They call it the sunshine vitamin for a reason – because your body naturally produces it when sunlight touches your skin. But in todays modern world not all of us get enough of it. And as we become older adults our risk of vitamin D deficiency increases too. According to scientists, low vitamin D levels have been linked to sarcopenia . However, there’s little evidence indicating why there’s a connection between these two. Men who are deficient in vitamin D may experience the most benefit from supplementation. Doing so should also help to boost testosterone, an important androgen hormone that regulates muscle mass . Key point: The amount of vitamin D needed to slow down sarcopenia is unknown. But if you’re older and spend extended periods indoors you’re more likely to get less than the RDA. This is a natural nitrogenous organic acid the exists inside your body. It’s mainly synthesized in the liver and kidneys from various amino acids. 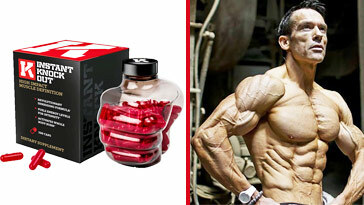 You can also take on exogenous creatine from your diet too; which is present in meat, eggs, and creatine supplements. Creatine is very important for muscle function. It works both as part of the creatine-phosphocreatine system during high-energy activities, and as a player in the creatine-phosphocreatine system used in less intent muscular activity. Bottom line – it’s important for fueling your physique. Many athletes like to supplement with creatine because of its performance boosting properties. But there’s no reason why men over 50 shouldn’t use it too. Recent data suggests that supplementing with creatine alongside resistance training bettered body composition more than the weight lifting alone. This means their muscle mass improved while body fat dropped. The study wasn’t another paper put together around 20-something athletes either. Instead, it was older adults like men over 50 who showed improvements . Creatine should help you shore up your muscles against sarcopenia and maintain a physique to be proud of. Out of all the supplements available creatine monohydrate is the cheapest and most common. Key point: Experts recommend five grams of creatine with some carbohydrate per day for men over 50. This should also be paired with a progressive resistant training program. Many men supplement with omega-3 fatty acids for their joints. But it seems that there might be more to these tiny, convenient capsules and oils. Research suggests that supplementing with omega-3 fatty acids can increase muscle mass in men over 50 . Again, these aren’t findings from young athletes, but healthy older people. According to the scientists that conducted the study omega-3 supplementing might even impact protein synthesis directly. Muscle loss after 50 can happen for many reasons. Yes, we know sarcopenia is the main suspect, but can lifestyle make it worse? Absolutely. Will making a few small changes to help reverse the effects? Yes, so it’s worth making the effort to do it. Firstly, the reason a lot of men lose more muscle after 50 is inactivity. Low testosterone can cause our energy levels to plummet. We’re at the peak of our careers and work comes before going to the gym. The kids are getting a lot older now and don’t need us to chase after around them. In short, we become extra sedentary. The fix? Move more. Whether that’s walking the extra mile to work or working out in the gym, it doesn’t matter. Make an effort to use your muscles so they don’t become dormant. Use it or lose it is the bottom line here. As we’ve already mentioned, it seriously pays to get your diet in check. Protein is king when it comes to muscle maintenance but enjoy the rest of the plate too. Eat a well-balanced diet filled with healthy fats, bright colored fruit, crunchy vegetables, and the odd sweet treat. This way you’ll ensure you’re supplying your physique with all the vitamins and minerals it needs. Finally, take care of your testosterone. After all it’s this androgen hormone that gave you those masculine traits. Once you hit middle age your testosterone naturally declines and only continues to do so with time. If you don’t work to look after your hormones you increase the likelihood of even lower levels. How to solve it? Eat well, exercise, sleep better, and try to limit stress. 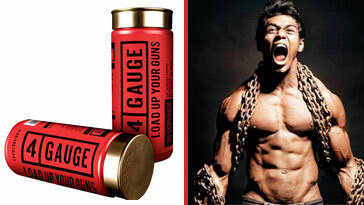 You may also want to consider a testosterone boosting supplement for additional support. For a more detailed insight into the impact of low testosterone read our complete guide. Losing muscle after the age of 50 can be a concern for many men. Sarcopenia also becomes more aggressive as we get older and can have alarming consequences. Not only does sarcopenia cause strength loss, but it can also shorten life expectancy. Your overall wellbeing might be damaged too as you struggle to do what you enjoy. But, fortunately for men of this age, there are ways to fight it. 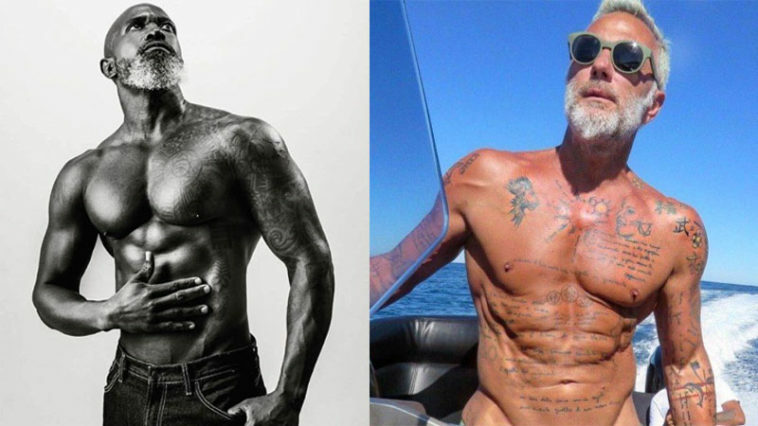 Muscle loss after 50 isn’t an absolute you have to accept. The most efficient way of solving the problem is with exercise. Resistance training reigns supreme for the best benefits so get to know the gym floor. If in doubt, look to hire an experienced trainer. Diet is also a fundamental factor in your muscle health. Filling your plate with plenty of protein will provide your body with the building blocks for new muscle. Adding in bright, colorful fruits and vegetables will support the process too. Don’t forget the healthy fats either, as they help hormone production as well as supply energy. Opt for natural sources like nuts and extra virgin olive oil. 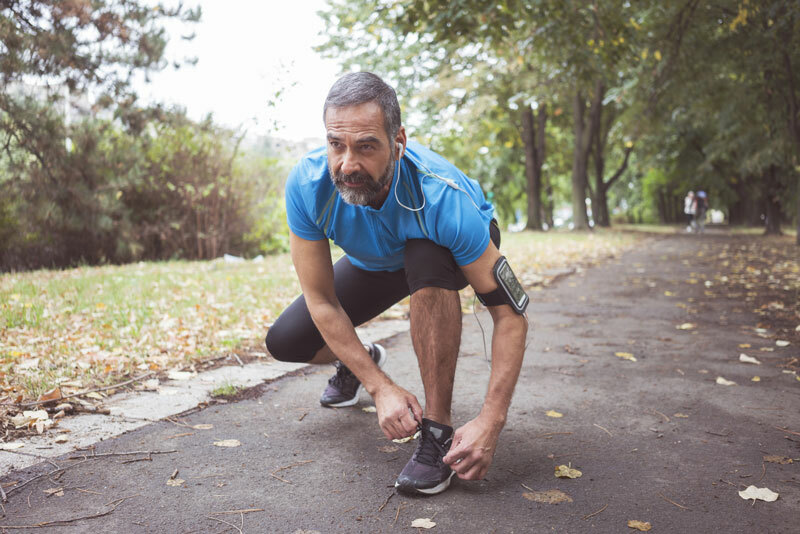 By using these methods, you can take a stance against sarcopenia. Muscle loss after 50 is more in your control than you think. Good luck. Publishing H. Preserve your muscle mass – Harvard Health. Harvard Health. https://www.health.harvard.edu/staying-healthy/preserve-your-muscle-mass. Published 2019. Accessed April 2, 2019.